Having Trouble Waiting to Die? - Take a Pharmaceutical Drug! Dr. David Brownstein titled his blog post, How To Increase Your Risk of Dying? Take a Statin Drug. What prompted him to make these statements? An article in Clinical Nutrition revealed that compared to elderly patients with cholesterol levels of 200mg/dl (milligrams per deciliter), those with cholesterol levels of 183mg/dl had a significantly higher death rate. The authors found that for every 1 mg/dl increase in serum cholesterol, the death rate was reduced by 0.4%. The Honolulu Heart Program found that men aged 71-93 years in the lowest total cholesterol group had a 64% increase risk in death as compared to men with the highest cholesterol levels. The Honolulu study was reported in 2001. It is too bad the media does not trumpet these results. Psychiatrists are mental health professionals who have mostly turned into cold-blooded pharmaceutical terrorists praying on the hapless public like vultures. The opening minutes of this movie is all that it takes to convince every human on the planet that psychiatrists are the last ones to visit when having any kind of mental or emotional problem. Psychiatrists are traitors to the broader field of psychology but clinical psychologists and just about everyone else is paralyzed. What is the appropriate response to these doctors and their existence in society? I think they should be tried just as sexual offenders and rapists are tried because they are consciously and deliberately hurting and destroying the lives of men, women and children. But according to the American Psychological Association, 70% of psychiatric medications are today prescribed by general practitioners. 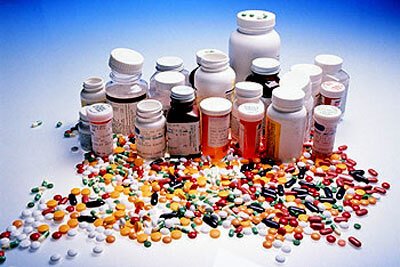 New Mexico became the first U.S. state to allow psychologists to prescribe drugs back in 2002. Today psychologists in six states are seeking the authority to prescribe drugs, saying it would allow them to serve patients better in a mental health system stretched thin without enough physicians to meet growing demands. Clinical psychologists hold doctoral degrees and have extensive training in psychotherapy but are not medically qualified. The American Psychological Association has been lobbying since 1984 to gain legislative support for bills that authorize psychologists to prescribe psychiatric drugs. Psychiatrists argued that giving psychologists prescribing privileges is bad medicine (like they would know)! Dr. Paul Appelbaum, of the American Psychiatric Association indicated that allowing psychologists to prescribe medications and order and interpret laboratory tests derives from a deeply mistaken view of the nature of psychiatric disorders and their treatment. “Medications used to treat these disorders can affect the functioning of other organ systems, especially when those organs are already compromised by illness, and interact with medications prescribed for other medical conditions. To pretend that a few months of training regarding the brain and psychoactive medications can render a psychologist fit to prescribe drugs that can affect the entire body - and to monitor their impact - is to belie the intricacies of human physiology. “Ninety-percent of psychiatrists no longer provide psychotherapy - once the mainstay of traditional psychiatric treatment - to their patients. Why is that? For a few reasons. First, psychiatrists and their patients were disillusioned and frustrated with psychotherapy, its expense, duration, and limitations, especially in the treatment of more severe mental disorders such as bipolar illness, schizophrenia and major depression. Neither psychologists nor psychiatrists seem to be aware that much of the foundations for these severe mental disorders are nutritional. Actually it’s a problem of toxicities of numerous types colliding head on with malnutrition to create mental, emotional and physical agonies. The answer provided by psychiatry is poison them more with drugs of the most dangerous disorienting kind. The destiny of medicine is in the hands of madmen - totally deranged executives of big pharmaceutical companies in cooperation with the FDA and doctors - who are hell bent on getting as many people on their dangerous drugs as they possibly can. The public media is saying nothing about the terrible terrorism being exorcised by pharmaceutical companies and their henchmen - doctors. The American Academy of Physicians and Surgeons (AAPS) is trying to put control of medicine back in the hands of patients and their physicians. They are so serious about this that they taking the Texas Medical Board to federal court in Austin, Texas. Never before has a medical board been ordered to stand trial in a lawsuit for its violations of constitutional rights of physicians. Dr. Lee Hieb explains in a video entitled, “ObamaCare and the Road to Serfdom” (below video,) that government has no right to get between physician and patient. “Over the past 27 years - the complete time frame that the data has been available - there have been 0 deaths as a result of vitamins and over 3 million deaths related to prescription drug use. In fact, going back 54 years there have only been 11 claims of vitamin-related death, all of which provided no substantial evidence to link vitamins to the cause of death. People though will be slow to wake up to the fact that they have been had by a brutal system of medicine that embodies the worst elements of western civilization. Most of the books we read today, even from alternative doctors, are censored, edited and made to sound appealing and attractive, which means that they tend to keep at arm’s length from more painful truths. Publishers do not want their medical writers to bash the medical system because they think it makes the author look bad and that will mean fewer books sold. Give these movies an hour and a half or so of your time and use that time to feel the soul anguish over what has been done and is still being done to millions of people. Feel your emotions for there is so much to empathize with in this story.